Channel 4 brings the repressive law of Gilead to Britain in a provocative campaign promoting season two of The Handmaid's Tale. 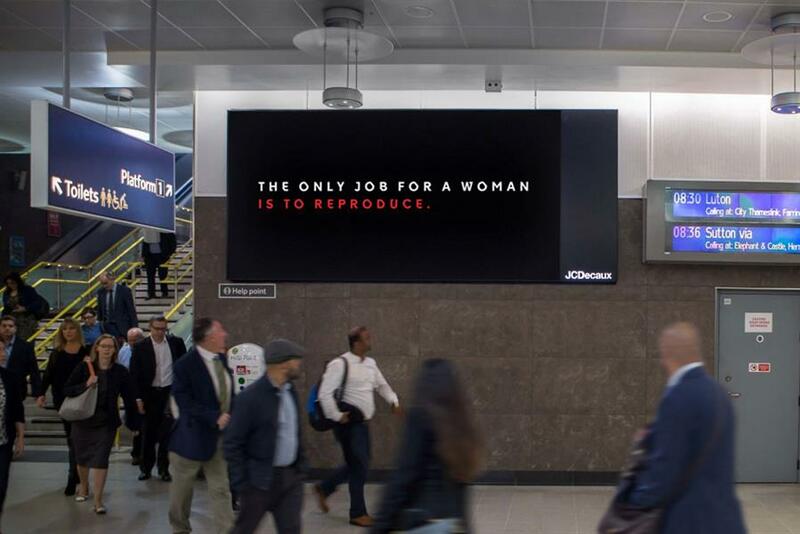 Ads deliver stark messages from Gilead officials enforcing laws such as, "The city is no place for a woman. A woman’s place is at home." A Metro cover-wrap reads, "Women are not allowed to read this newspaper." The reveal shows the main character Offred, played by Elisabeth Moss, burning a handmaid’s headdress with a familiar rebellious message from the show: "Don’t let the bastards grind you down." The campaign was created by Francesca Van Haverbeke, Anne-Grit Maier, Caio Turbiani and Raminder Samra.